We are back in the deep freeze around here this weekend so it is a great excuse to stay inside and play. My kid is going to a sleepover/birthday party Saturday night, so my wife and I will be enjoying a rare date-night (which hopefully also involves video games). My wife and I had a unique weekday convergence of schedules with her day off last Tuesday and we were able to spend four solid hours getting back to Uncharted 4. 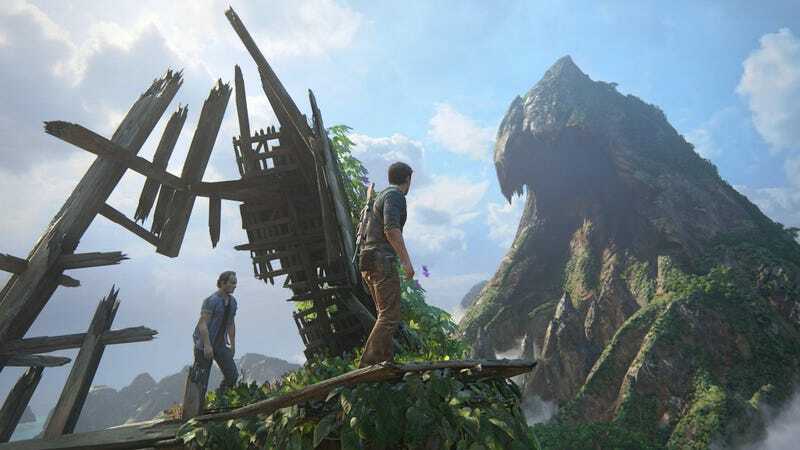 I “think” we are nearing the end, though it is always a little hard to tell with the Uncharted games. I’m still having issues with the gameplay and story, but the game’s combat is very solid and the visuals are stunning enough to keep us happily pressing on. My son and I finally polished off Never Alone last week and are now on to the Foxtales DLC which presents another traditional Iñupiaq story in game form. The additions to the game mechanics in the DLC are a nice touch and the presentation is still as hauntingly beautiful as the main game. I simply can’t recommend this enough as a co-op game for players of all skill levels. I also had a nice long session of Divinity: Original Sin with my friend last week. We are now making good progress and seem to have finally overcome those entry-level hurdles with our characters that have been plaguing our previous get-togethers. This game on its hardest difficulty sure doesn’t pull any punches for new players. I’m much more excited for our next game night now as it is a lot more fun when you don’t have to redo almost every encounter. And of course...I’m *still* playing The Witcher 3. At 157 hours and creeping up on three months devoted to this game, I’m still finding it exciting and addictive. Not since Skyrim have I put so many hours into a game and never regretted a moment of it. The Blood and Wine DLC continues to show me new things and has expanded my character’s abilities to keep things fresh. I still think I’d recommend taking a break after beating the vanilla game before attacking the DLC content, but even someone like me with a general disinclination towards RPGS can’t deny the constant enjoyment and genius of The Witcher 3. Uncharted 4 and The Witcher 3 are likely on tap around here this weekend. I also picked up Civilization VI with the latest Humble Monthly and I should probably give that a look so I’ll be prepared to start up an email game with my friend.